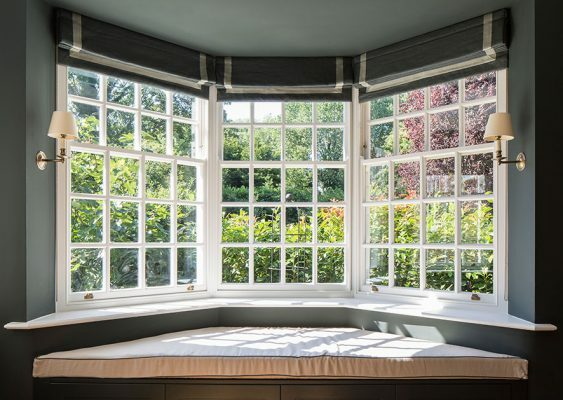 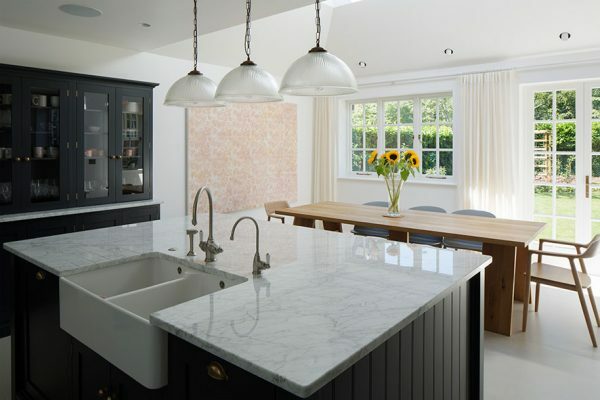 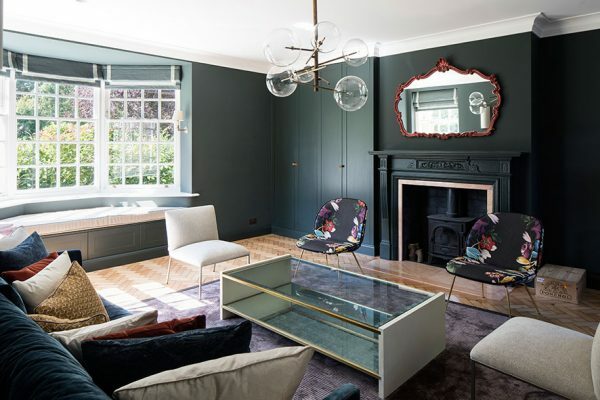 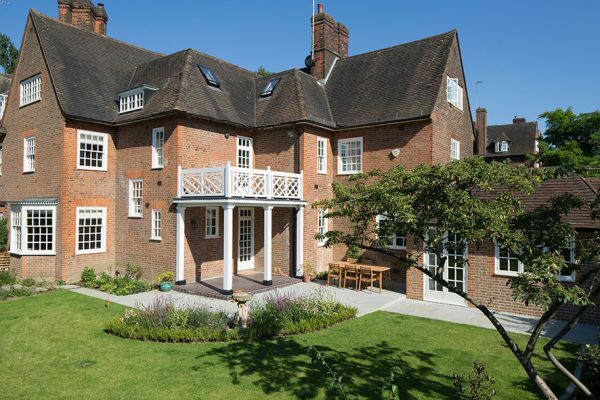 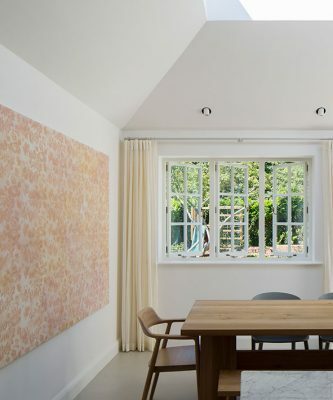 This project includes the complete refurbishment and extension of an un-modernised Grade II Listed Arts and Crafts home in the Hampstead Garden Suburb in North West London. 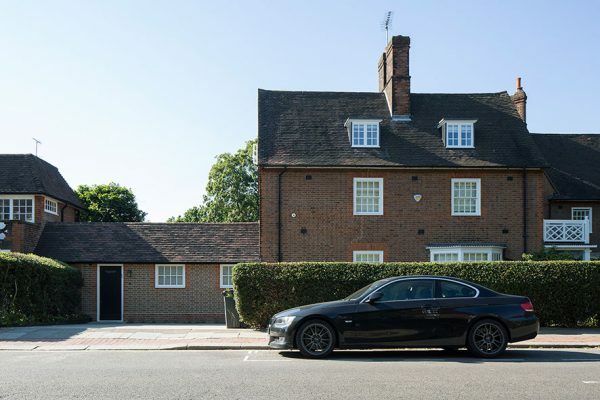 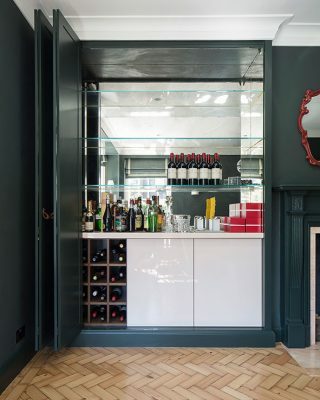 We sought to return the house to its original glory through the careful restoration of its original features, a sensitive extension and internal alterations. 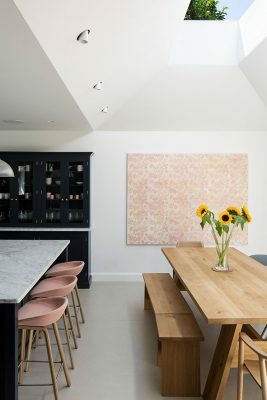 A 1960 garage was demolished and replaced with a new kitchen and dining area. 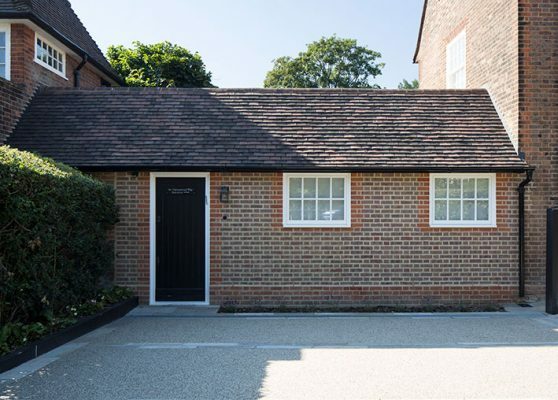 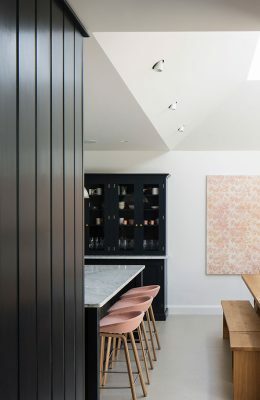 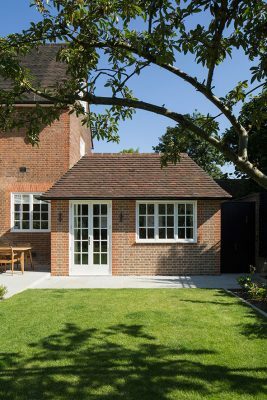 The extension was constructed in a style and brick matching the original house, satisfying the stringent Hampstead Garden Trust development guidelines. 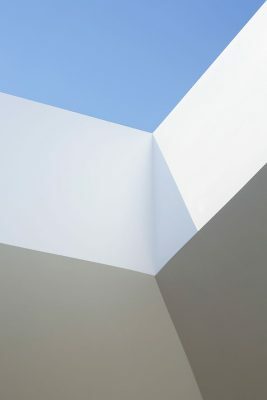 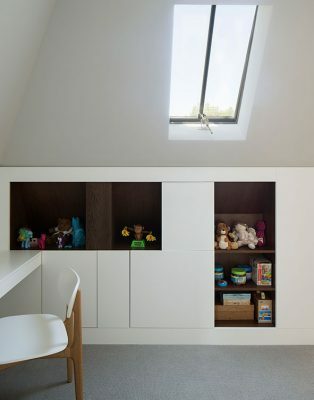 Inside, the new extension surprises and delights with a vaulted ceiling extending up to a large sliding skylight. 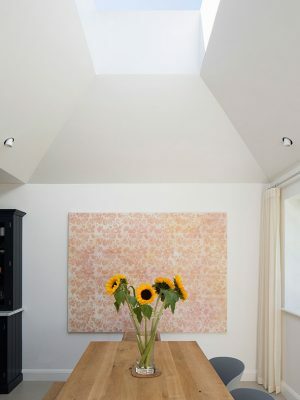 Hidden from the street and surrounding properties, the skylight brings expansive amounts of natural light into the dining and kitchen area. 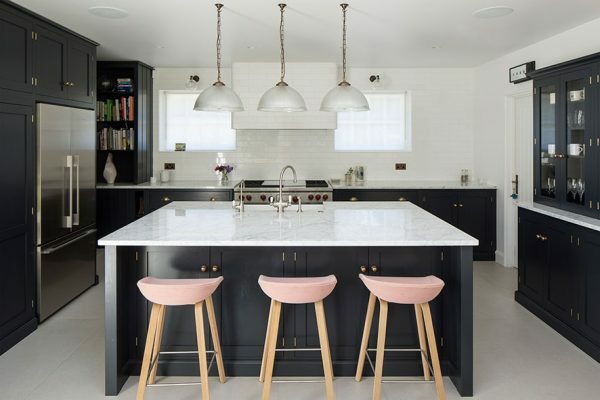 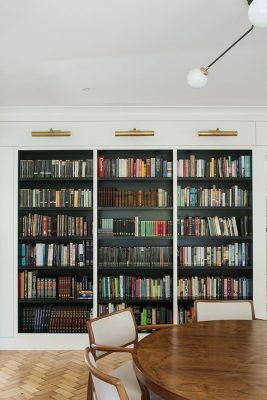 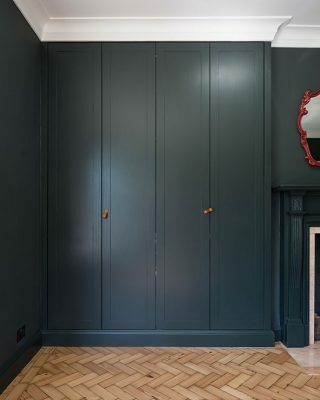 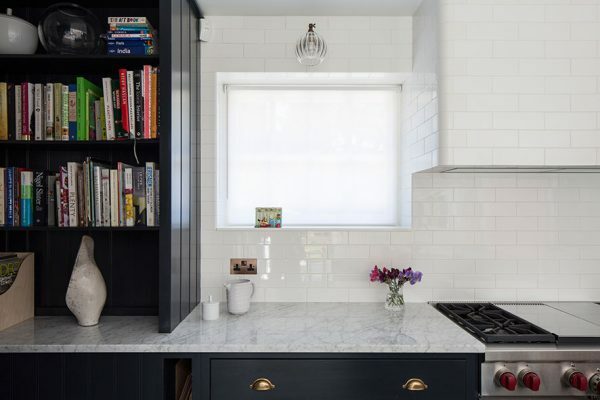 The project also includes reconfigured bedrooms, bathrooms and living areas with custom designed built in storage, wardrobes and bookcases throughout the home.